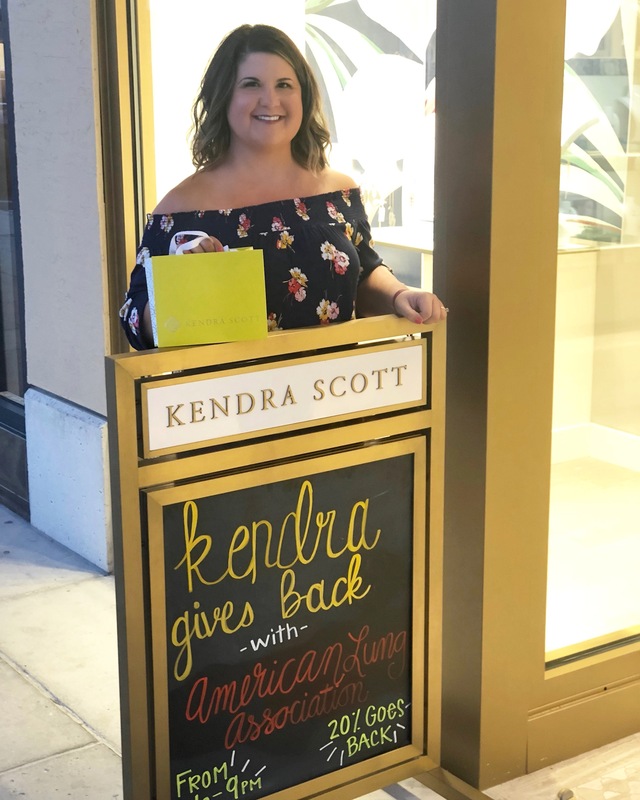 I was elated to host a fundraiser at the NEW Kendra Scott store in the Town Center! on April 27, 2018. Thanks to the generosity of the wonderful staff (and a few wonderful friends!) I was able to raise $480 for the American Lung Association. Next Your Pie-the best Hump Day Dinner!